Please read our policies to be informed of our reservation and payment procedures, and other information helpful in reserving your Maui wedding. A non-refundable deposit of $300 or 20% of the total cost of your wedding, whichever is greater, plus tax, is required to reserve your wedding date and services. Private venues require an additional non-refundable deposit. The deposit covers our services for reserving and confirming your wedding, and will be applied to the cost of your wedding. For weddings booked within 45 days of wedding date, full payment will be required. Payment may be made by any major credit card or electronic check through the PayPal link on our Home page. We will email an invoice for payments. You may also mail a money order, cashier’s check, or personal check as long as your balance is received by the due date. Please inform us in advance if you plan to mail a check. After all the services have been reserved with the vendors, we will email your wedding details and directions. 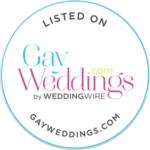 Your confirmation email will include directions to the marriage license agent and to the wedding site, the marriage license application, as well as a ceremony questionnaire for the personalized ceremony, and other helpful information to make your wedding experience easy and stress-free. Your balance will be due a minimum of 45 days prior to your wedding date. If any of the individual services are changed or canceled more than 45 days prior to your wedding, a $25 service fee, per service, will be charged. No refunds will be issued for services changed or canceled within 45 days prior to your wedding. If you need to change the date or time of your wedding, there is a reschedule fee of up to 10% of the cost of your wedding, plus any price increases (no changes are allowed for high demand dates). Only one change of date is allowed, and a firm date within one year of the original wedding date must be confirmed at the time of postponement. The beach permit fee or private location deposit is non-refundable and must be repaid for the second wedding date scheduled. Your payments are non-transferable to another couple. Your payment in full is non-refundable if a cancellation is made within 45 days prior to your scheduled wedding. For high demand dates when the balance payment is due 2-3 months prior to the wedding date, our normal cancellation policy will apply provided that we and each of the reserved vendors are able to rebook your date and time with another wedding. Cancellations must be received in writing. By submitting your deposit, you agree that you will not hold Maui Weddings From The Heart responsible for non-performance of services due to your failure to show for your scheduled wedding for any reason, including airline cancellations, acts of war or terrorism, acts of God or nature, mechanical failure of vehicles, or any circumstance beyond the reasonable control of Maui Weddings From The Heart. Due to liquor laws and beach permit terms, no alcoholic beverages of any kind are allowed on Hawaii’s beaches. Though it rarely rains in South Maui, in the event of rain, our first option, if possible, would be to move to a beach farther down the coast with no rain. Our second option would be to hold your wedding in the covered courtyard of a Makena restaurant, provided they have availability. Our third option would be to hold your wedding on the lanai of your hotel if you’re staying on the South side and this is acceptable to you. Our fourth option would be to postpone your wedding to the next available date. We will consult with you to see what your preference would be. A reschedule fee may apply. All services reserved will be non-refundable. It is highly advisable that you purchase trip insurance to cover the entire cost of your wedding and vacation just in case the unforseeable happens and you are not able to make your trip as planned. Trip insurance is offered by many companies on the Internet. While you may not deduct from the packages, you may upgrade or add to them from our list of A la Carte Services and Flowers & Decor. The flower choices in each package are also flexible and can be substituted with other flowers. A 4.167% tax will be added to all prices. Prices are subject to change without notice.